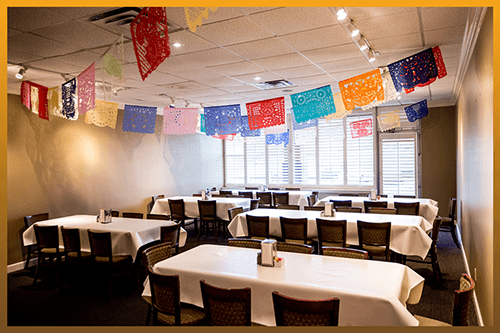 Las Delicias has a party room available at our newest location on Quince. The room is available 11am- 9pm Monday thru Saturday and can hold up to 100 people. Our Las Delicias staff would love to cater your next event. Whether it be a business meeting, birthday, wedding, rehearsal dinner, or even just a festive family dinner; let our family cater to yours using our fresh ingredients and attentive service. We can also have larger orders available for pick up.